Lace Detail Prom Dress is rated 4.0 out of 5 by 4. 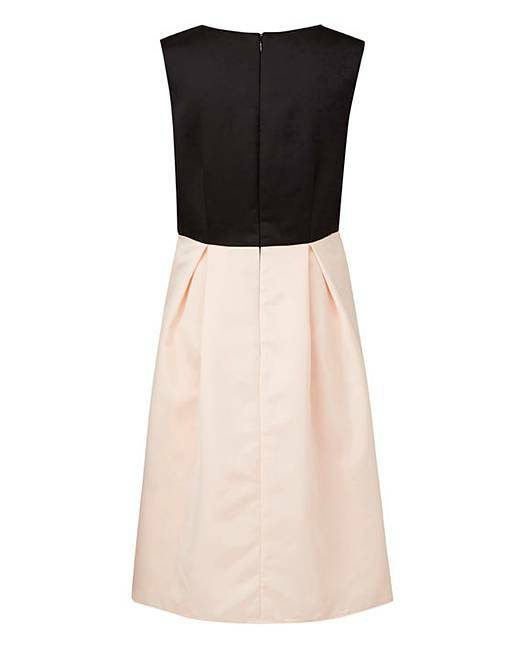 Understated elegance is just a click away with this classic dress. 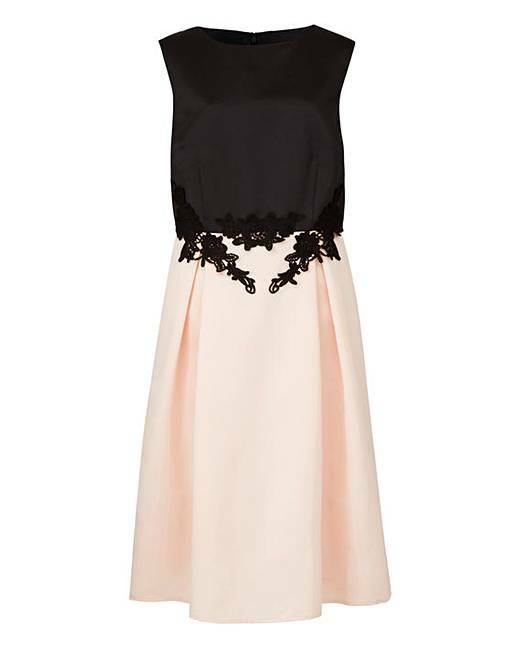 The cream skirt and black bodice are classic and chic, while the full skirt and lace applique detailing add a little something extra to this must have dress. Style with barely there heels and a clutch bag for a polished look. Rated 5 out of 5 by Beebop from LACE PINK PROM DRESS A LOVELY SMART DRESS. THE TOP FITTED BEAUTIFULLY ACROSS THE BUST BUT THE WAIST AND HIPS SEEMED TO SWING AROUND ME AS I MOVED SO SADLY I HAD TO RETURN IT. Rated 5 out of 5 by debs from love the lace detail i bought this as i seen it on a clip. it is lovely great quality. Rated 1 out of 5 by Cocktail from Poor fit I did not like the dress at all, it was a poor fit and also not flattering for a curvy figure.